German police on Tuesday arrested six Syrian refugees suspected of preparing a terror attack, with media reports saying their target was a Christmas market. 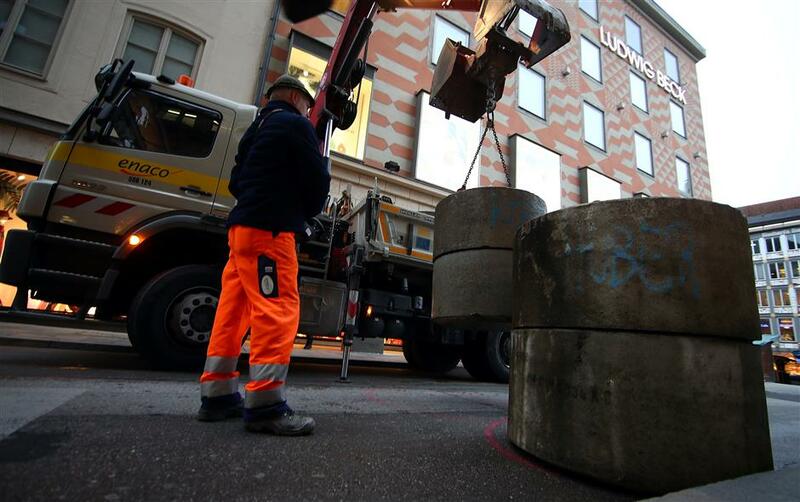 A worker unloads security bollards used as protection ahead of Munich's Christmas market, Germany, November 21, 2017. German police on Tuesday arrested six Syrian refugees suspected of preparing a terror attack in the name of the Islamic State jihadist group, with media reports saying their target was a Christmas market. The men are accused of belonging to “the foreign terrorist group that calls itself the Islamic State”, Christian Hartwig, a spokesman for the Frankfurt prosecutor’s office, said in a statement. “The accused are also suspected of preparing an attack on a public target in Germany using weapons or explosives,” Hartwig said. The investigators believe the men had not yet finalized their attack plan, he added. But the local Hessischer Rundfunk radio station, citing sources close to the probe, said the accused “had planned an attack on the Christmas market in Essen”, a city in western Germany. Such an attack would have revived painful memories of last December’s truck rampage in Berlin when a failed Tunisian asylum seeker smashed into a crowded Christmas market, killing 12 people. Police and prosecutors declined to comment on reports citing Essen’s Christmas market as the target, which also appeared in Germany’s best-selling Bild newspaper. The six detained Syrians all arrived in Germany as asylum seekers between December 2014 and September 2015, at the height of Europe’s migrant crisis. Last month, police arrested a 19-year-old Syrian suspected of preparing an Islamist terror attack in the country using “powerful explosives”.